"I don’t know everything - the good news is I’ve learned that I don’t have to in order to get what I want." "A plan without execution is just a dream. When you wake up, you will be in the same place." 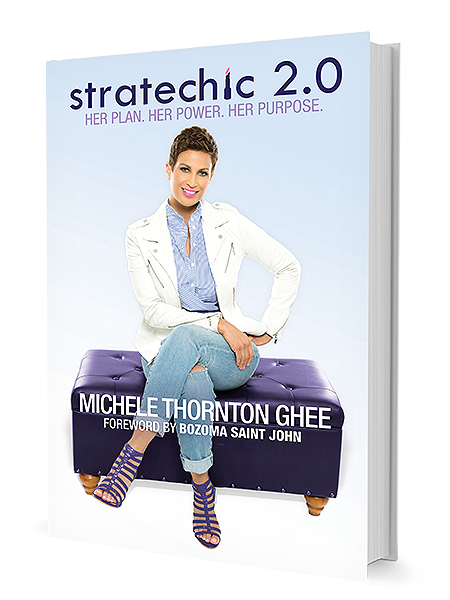 Michele Thornton Ghee is a global leader and powerhouse visionary with a message for women–get Stratechic! She wants women to recognize their innate power and harness it to achieve greatness in their lives, be empowered to prioritize themselves and feel better about their journey and the life they lead. Michele believes women are strategists that use most of their time and focus taking care of others. She encourages women to use a portion of that energy towards developing a personal life plan. 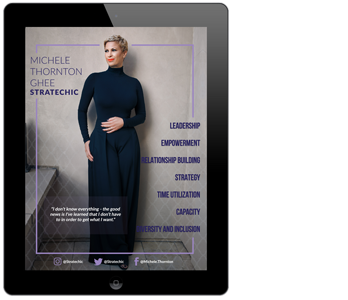 With her proven 10-step framework, Michele helps every woman be more Stratechic and reclaim the power they naturally possess! Fabulous! Stratechic is simply fabulous! Michele delivers poignant strategies in impeccable style. She gets it. 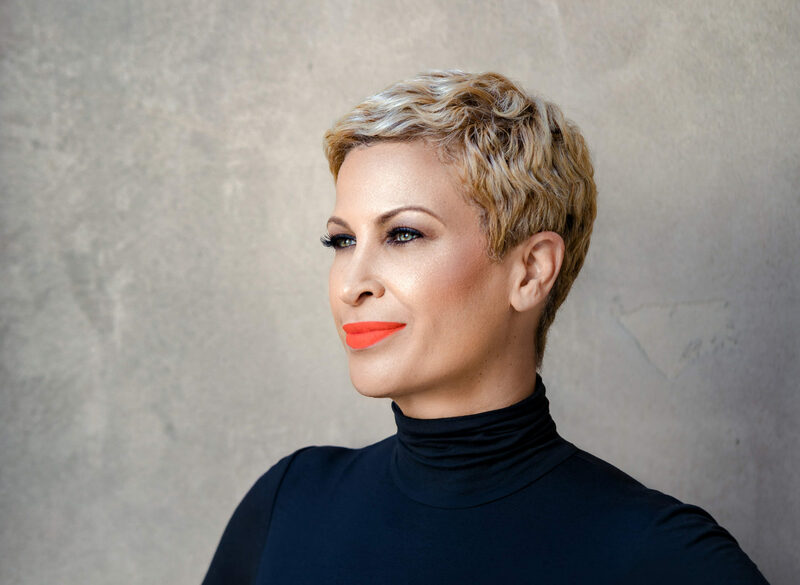 Michele knows that in order to win in business and in life in general you need to have a blueprint to your success and that’s exactly what she does in Stratechic. She lays out the road map for you – from women who are CEOs of their household to women who are CEOs in the boardroom. What I love about Stratechic is that it cuts straight to the point. In a world where our minds are constantly bombarded to the point of information overload, Michele dices up a wealth of knowledge into bite-sized yet fully satisfying tips. Stratechic is a must read for any woman who wants to win, rock and rule! Stratechic is an altruistic contribution to our community. A community whose voice isn’t always heard; whose voice isn’t always respected; whose rights aren’t always defended, Michele recognizes those things and devised a plan to help women tap into their inner greatness and overcome those obstacles. Stratechic is a fun, informative and easy read. I also find myself referring back to it for motivation before a big pitch or meeting. My favorite #StratechicTip is to never allow anyone to distract me from my mission to reach my full potential and a bad attitude is ultimately a distraction from what is rightfully mine. I've been in business for over thirty years, and for once, I'm pleased to know there's a book written by, for, and about us: successful women who seek a plan specifically yet globally designed to propel us to greatness. Stratechic is definitely on my nightstand as reference and daily go-to guide. Stratechic is the woman's anthem for independence. Through shocking experiences, loving testimonies, and precise prose, Michele Thornton guides the reader through a ten-step plan that will change her life for the better. It's revelation, it's planning, it's... Stratechic! Be the first to receive key updates and alerts posted across our Stratechic platforms.